For route details, contact us for mere guidance or full accompaniment. Characterized by the movement of man in mountain environment in order to attempt to climb to some peak or exploring. Within this action of man, not motorized means are used and the traffic generated -apokleistika- by natural forces and abilities. When the slope is small, the promotion is by foot and it’s called trekking. When the slope is large, then to promote the use of the whole body is necessary and this is called climbing. In the 4th century BC we have references to Sparta, ascents of young people in snowy Taygetus for training. Since then, we have sparse reports of ascents on peaks by mid 18th century. Then mountaineering displayed in the Alps, from economically well off people, who were trying to climb to the Mont Blanc (4.808 m) and finally succeeded in 1786. Sporting activity is most developed in the world and has enough common near the big mountains of each continent. It becomes a form of leisure and not subject to the regulations and racing competitions. Done in groups or individually. In Greece, there are mountaineering clubs that cultivate this activity, who – with few exceptions – are in EOOA Of great interest as activity since each route in any mountain is always different, because of weather conditions and the season. Therefore, it contributes to physical and mental wellbeing. In Greek territory, any time of year is good for climbing, always in conjunction with weather forecasts, because rarely have extreme weather phenomena threatening human life. Someone who wants to make climbing, need special key and ancillary equipment, depending on the season and the difficulty of the route. Also, he needs to know about the dangers that exist on the mountain and the solutions to address them. It is appropriate, have passed certified training process and to participate, at least initially, in organized climbs clubs. 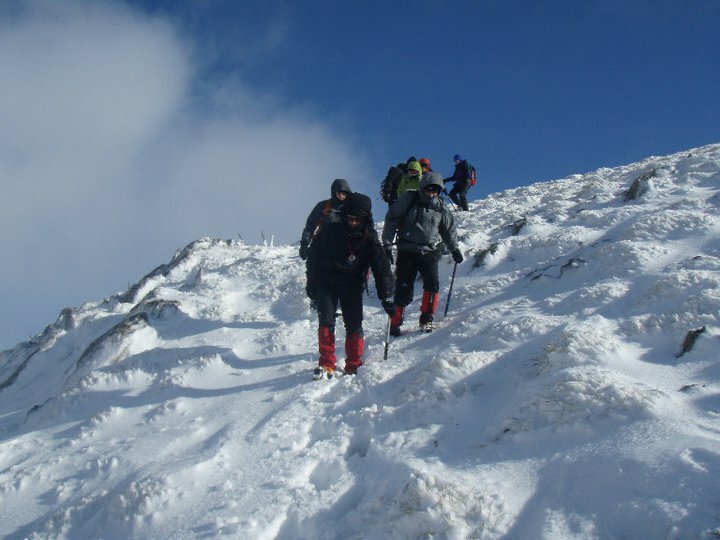 See highlights from the training in mountaineering school of 6 EMAK.